Apple today came out with a refresh of iTunes, all their iPods and Apple TV. As I was watching, several things immediately came to mind as to how this could be used in the classroom. The amount of computational power for such little cost is amazing to me. Now ponder this: Most of our students will be walking into class soon with these powerful gadgets in their pockets. While this is amazing on it’s own, ponder this: What will they be bringing to class in 5 years? So let’s see here. You have an Apple TV hooked up to your classroom projector. The students have made and edited movies on their iPod Touches. 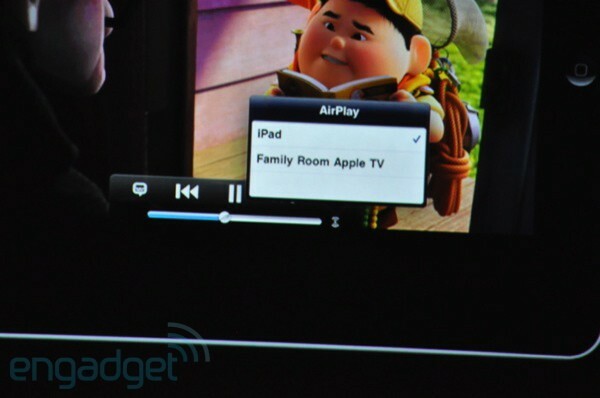 They can then play those over the wifi on the Apple TV. Boom, every student can share their content on the projector. I might be missing something, but that seems pretty darn cool! There was one more thing I saw that I think was critically important. Only Fox and ABC are onboard for providing content so far. Steve said the other networks would see the light. lol All these pretty devices are just paperweights unless you can get content onboard. Google is after them and the TV makers are putting similar functionality right into the TVs so this is a volatile market at the moment. Apple wants to get a monopoly on their proprietary boxes like on iTunes. I get the impression that the other companies are getting a bit tired of Apple trying to dictate the rules in this new market space. We will see but this failure to line up any other major content producers says volumes. We will see. Well another Apple event. 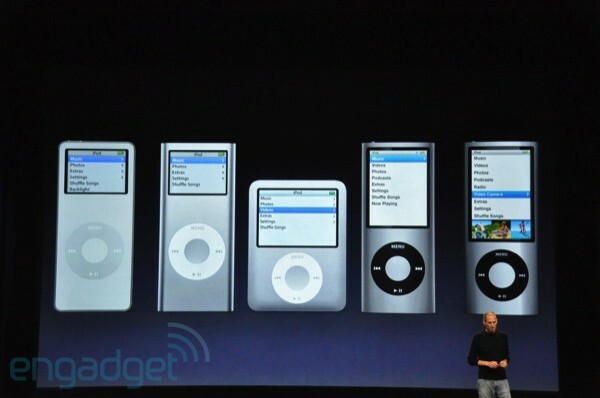 The iPods looked tasty (esp the touch!) and I am sure they will sell well. 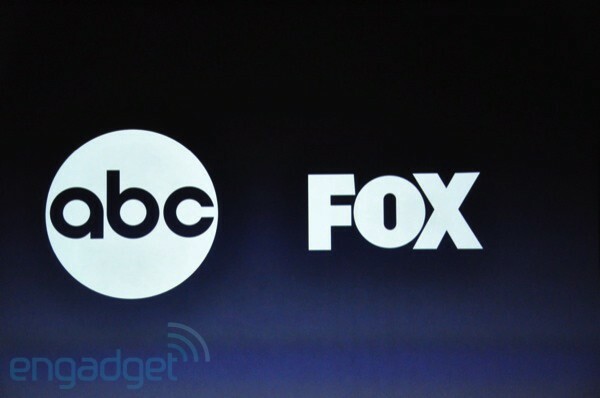 As for Apple TV, well the price looked right but we will see how they do with content. Watch to see if any networks get onboard in the next few months. I watched the live blog stream on Engadget who always does an awesome job! I also borrowed a few of their screengrabs since I wasn’t in there. Thanks Engadget! I was hoping that Apple would continue to produce current iPod Touch and lower the price to get it into the hands of more students – $99-$129 for the entry-level device would be a game changer. Now it is $229. What do you think are the implications of the enhanced functionality (cameras in the classroom) and increase price? Will this inhibit adoption of class sets of the iPod Touch or accelerate it? Love to get your thoughts. My focus is on k12. Well this revision had a great deal of new features. I think in a year’s time the price will drop on this version and they will roll out an improvement. I think we have hit a sweetspot in terms of technology though. An HD camera, touch screen editing system, and wifi connectivity make a powerful and simple content creation system. Another thing to consider is Apple is pretty good about working with Education so I am sure they will do some deals to get sets of iTouches into the classrooms. The price will only drop from this point. Hi Andrew! Loved the update. My principal just gave me the go ahead to get an I-Pod. Yea! I doubt I’ll be able to get that nice of one with what she’s allocated, but it’s nice to know what’s out there. They sound awesome! The Apple TV was cool, I was disappointed that you couldn’t put more of your own content on it and that only ABC and FOX are represented right now in the TV arena. We won’t be springing for one yet (even though at $99 it is a steal) we have a mac mini as our media server running Plex. All I have to say is that it is amazing! Heh well Christmas is coming! 🙂 I know what you mean about requiring iTouches. It is a seriously useful little computer now. In some ways it even surpasses the iPad in terms of capabilities. If they could only drop the price by $100 then that would seal the deal. Of course they will drop the price by next year. This whole year upgrade cycle is just crazy. Imagine if this happened with cars! Oh I don’t want to buy the new car this year because I can buy the same car next year for half as much money. lol Crazy!